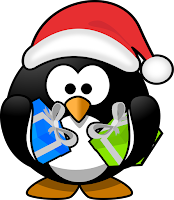 The holiday season that is! Whether you're a consumer or a business, the holiday season is stressful and sometimes scary. Typically "Black Friday" kicks off the holiday shopping season followed by Small Business Saturday and Cyber Monday. 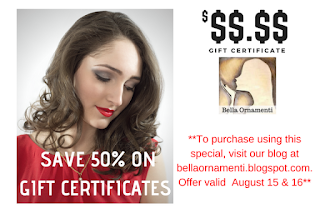 Since Bella Ornamenti is a small business (technically a micro-business since I'm the only "employee" though I have numerous independent representatives), I'll be focusing this article on Small Business Saturday. In 2015, consumers spent $16.2 BILLION on Small Business Saturday, an increase of 14 percent from $14.3 billion in 2014. According to Forbes, "...elected officials in all fifty states showed their support for Small Business Saturday, as well. More than 200 federal officials and agencies posted support for Small Business Saturday on Facebook and Twitter. President Barack Obama was among those who shopped small, visiting two businesses with his daughters this past Small Business Saturday." September 28, 2016 When it comes to Small Business Saturday®, social media can alert and motivate customers to participate—not just online but for in-person store visits. During Small Business Saturday 2014, Katie Katz scored with her company’s social media efforts. "We used Pinterest, Twitter, Google+, everything," she says. "That’s how we were able to be found." Katz and her artist husband create and sell fine art glass at their Philadelphia store, Bernard Katz Glass. And although they sell to customers worldwide via their website, and their social media reach is correspondingly global, Katz says that their business is now growing from local customers looking for area businesses to support. "We are now getting more people coming in and finding us because of [social media],” Katz says. “Before we did more selling to art galleries and didn’t meet the customers beforehand. But now with our online presence things have changed." She relies on social media for a two-pronged marketing approach: Helping new customers find her local business, and maintaining engagement with existing followers. Here’s how she does it. It may sound counterintuitive, but one of the best ways to attract customers on social media is to not sell them stuff. "You don’t kill them with, ‘Look at me, look at me!’" Katz says. "It fails when you are just talking about yourself." Instead, think of yourself as a content creator, a publisher or a "curator" of interesting information that relates to your area of expertise. Katz says that her content is primarily about running a small business and being a glass artist. For example, she posts stories and photographs about working with customers and helping them find a special piece. She may post a photo or description of how a particularly interesting installation is going. She also shares information from other glass artists whose work she likes. "I’m always thinking about sharing an article, or something about another business, something of value," Katz says. Your product or service may be terrific, but customers who shop at small businesses also enjoy having a story to share about the experience. For Katz, the increasingly typical customer is someone from the local area who finds Bernard Katz Glass through an online search, and then visits the shop to purchase an item and meet the artist. "Share video or photos so that people can see what you are doing in your business," Katz says. Images put a face with the brand, personalizing it for customers. "Talk about why support is good for your business," she advises. Where some companies use online tools to drive customers to their websites, Katz instead uses the company's website to engage customers personally. "I will be on the phone [with a customer] and say,‘Let’s get on the website and let me show you all the things in yellow in this size range.’ They love that we take the time to do that." Katz and her husband don’t have any employees, and they wear their small-business badge proudly. "People like knowing that they can get hold of us, and that it’s just us, these two people, doing this. They know they will get a personalized experience." Each channel—including Instagram, Pinterest, Facebook, Twitter and Snapchat—requires a distinct approach, and Katz plans her overall strategy for each one. Say for instance she wants to share the story of a customer who purchased a vase for a wedding gift. On Pinterest she would post just a large photo of the vase, maybe with the caption "Wedding gift." But on LinkedIn she would post a smaller photo with a fact-based summary that might describe the process of making the vase, or how many customers shop at Bernard Katz Glass for handmade vases. "I get the point across in the lingo according to each form of social media," Katz says. "You can’t put the same thing on Facebook and Twitter." Katz estimates that she spends about 25 percent of her day on social media marketing. "There are so many channels, and you’re trying to figure out exactly how to use them." In addition, she makes sure to follow up with online conversations and questions. "Keep the conversation going," she says. "The worst thing you can do is be completely blank. Or have an automated response." Read more articles on Small Business Saturday. A version of this story was originally published on November 7, 2014. 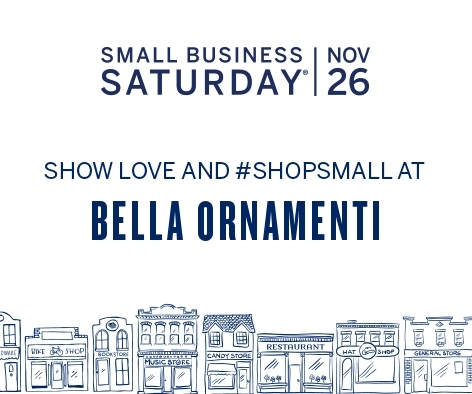 Bella Ornamenti will be participating in Small Business Saturday. Stay tuned for more details next week!